Carol Dweck is a Psychologist at Stanford University whose theories on the psychology of skills and talent could have a major bearing on the way that companies interact with their employees. Her book, Mindset, established the idea of ‘Fixed Mindsets’ and ‘Growth Mindsets’. 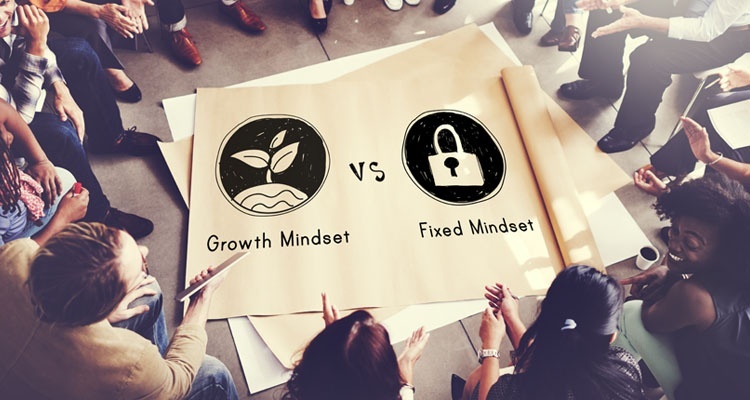 Individuals with a fixed mindset view talent as something they either have or don’t have, whereas those with a growth mindset believe that talent can be acquired by learning, collaborating, practicing and acquiring new skills - the theory being that those with a growth mindset ultimately achieve more. It’s therefore not surprising that a growing number of employers have started to adopt this way of thinking when looking at how to manage their workforce. After all, both organisations and individual employees could in theory have a fixed or growth mindset; so understanding these different psychologies can have a major impact on employee engagement, workplace culture, collaboration and innovation. In fact, Dweck has applied her theory to a range of different companies via a number of surveys and research projects with Fortune 1000 companies and, in the process, found some interesting results. For example, at those companies found to have a fixed mindset, employees reported a “small handful of ‘star’ performers” who were highly valued. This, unsurprisingly, had a negative impact on those employees who didn’t fit this mold. On the other hand, supervisors at growth mindset companies reportedly rated their employees as “more innovative, collaborative and committed to learning and growing”. 1. Understand your team’s capacity for growth: this is really the crux of the point about growth mindset and can feed into everything from the recruitment process (companies such as Google and some Big Four accounting firms, for example, have started to hire more people without university degrees but who have proved that they are able and enthusiastic learners), to your learning and development strategy (organisations that support learning and development are reportedly 37% more likely to have greater employee productivity). In short, if your employees are committed to learning and self-improvement, even in areas not directly related to their day-to-day roles, then recognise and support this, as it will have a positive impact on your organisation. 2. “A growth mindset isn’t just about praising and rewarding effort”: this one is straight from the horses mouth, so the speak, via an article in the Harvard Business Review from Carol Dweck herself. Dweck points out that, ultimately, outcomes do matter, and it’s therefore critical to reward “not just effort, but learning and progress” and to make it clear what brings about these things, whether that be collaboration, innovation, etc. That said it is also clearly important to reward things such as collaboration and learning, as well as good results. Employee recognition can have a big impact on employee engagement, motivation and psychology and the behaviours that you choose to reward feeds directly in to the company culture you are trying to create. 3. Encourage constructive criticism: the way that people deal with feedback and constructive criticism says a lot about their mindset. Those in a fixed mindset can be more likely to take criticism personally, in a non-constructive way. Those that take it positively show a greater willingness to learn. As an employer this consideration could inform your approach to performance reviews and employee feedback. Some companies, for example, have adopted a strategy of providing ‘real time feedback’ (or responsive feedback as it’s sometimes referred), to help their employees become more collaborative and understanding, on an ongoing basis, of how their own goals align with those of the company’s. To find out more about how you can build an employee recognition strategy that supports your organisation’s culture and values download our free webinar.